POS AV 310 is the foremost commercial GNSS-Inertial solution for airborne direct georeferencing. Used with digital cameras, film cameras, LIDAR systems, SAR systems and digital scanners, POS AV precisely measures aerial sensor position and orientation hundreds of times each second, accounting for all motion variables at the exact moment of data capture. 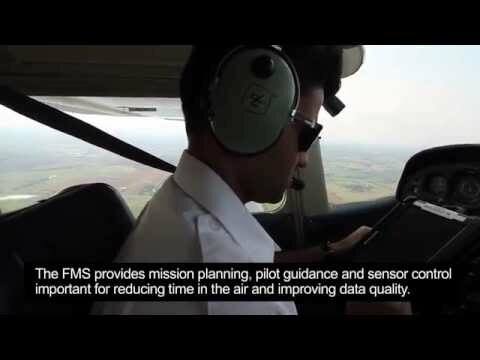 Direct georeferencing of airborne sensor data. Topographic Mapping Digital Terrain Model generation. Orthophoto production. Reconnaissance, surveillance. Robust and accurate georeferencing and motion compensation. Support for Trimble CenterPoint RTX service. POS AV is export friendly. Most IMUs are exportable worldwide. Consult Applanix for specifics. Ask for a quote Contact Applanix to receive a quotation. Fill in the form below to send out a contact request to Applanix.